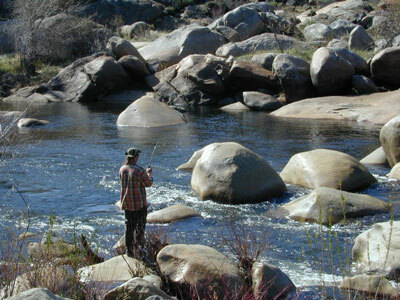 Kern River is a top recreation destination for the lower half of the state, since it is the only big Sierra river within easy reach of Southern California. 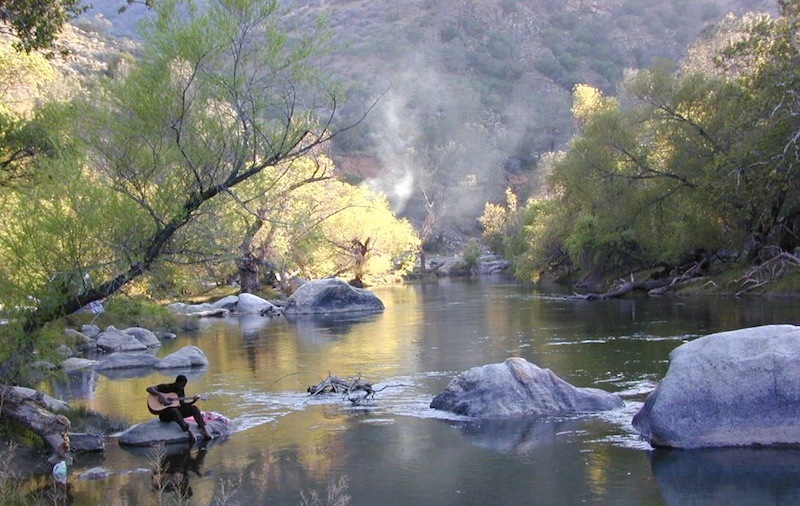 Lower mountain elevations 2000-4000′ means camping all year is possible on the Kern. 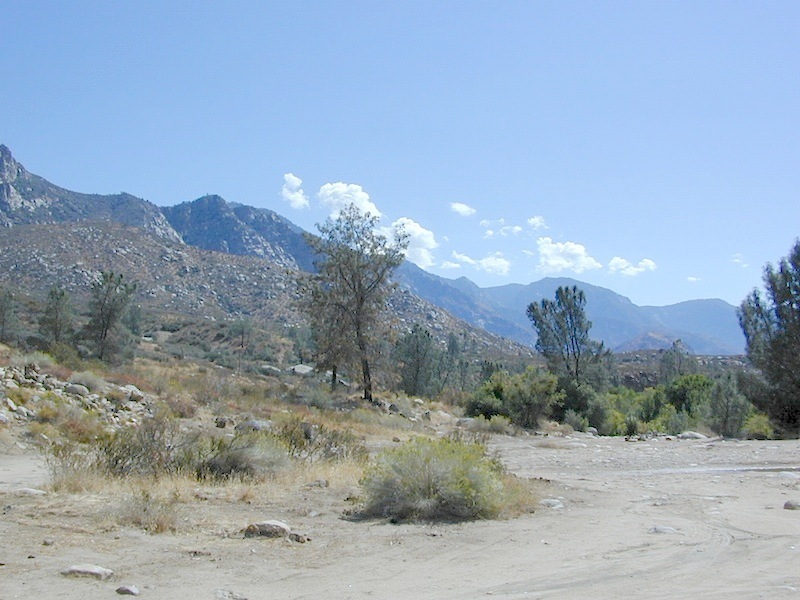 With only a few inches of rainfall, plus an average high temperature of 60 degrees in December & January, Kernville has become a year-round recreation destination for the Southern Sierra Nevada mountains. Kern Canyon and most surrounding mountains are managed by USDA: Sequoia National Forest, which extends south to the Tehachapi range! Popular Kern Recreation – backpacking, camping, fishing, hiking, river rafting, kayaking, rock climbing, mountain biking, off-roading & floating (inner tubing). 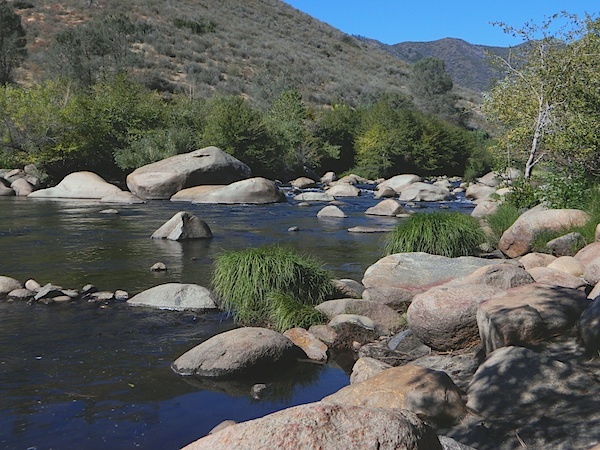 headwaters of the Kern River. High Sierra, Golden Trout Wilderness, Kern Hot Springs, Mount Whitney snowmelt, Kern Gorge. foot access only, wilderness backcountry. fishing, day hikes, backpacking, rock climbing, mountaineering, horse packs. parking lot at the bridge. 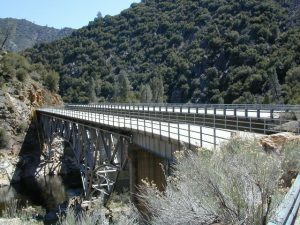 trails travel rivers edge into a tight canyon, impressive rock gorge continues up to the tallest mountain peaks in the High Sierra. paved route that connects Kern River to Mojave desert. Kern Flats: Open, dispersed camping, at no charge. 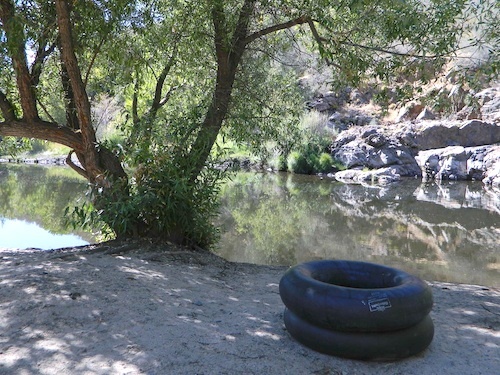 This part of the river sees much of the action, with kayakers, river rafters, fishermen, RVs, motorcycles, mountain bikers, backpackers and campers, seeking easy river access, hiking trailheads or just a good picnic spot. 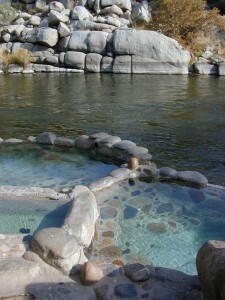 Brush Creek: awesome waterfalls & pools on Brush Creek, only accessible by hiking trail. Rincon Trail runs above the river on the east side, via the Rincon earthquake fault. This is right where Brush Creek comes down the steep mountain. RINCON is favorite mountain biking trail, that is also open to dirt bikes (OHV) & equestrian, so share the trail and play nice. 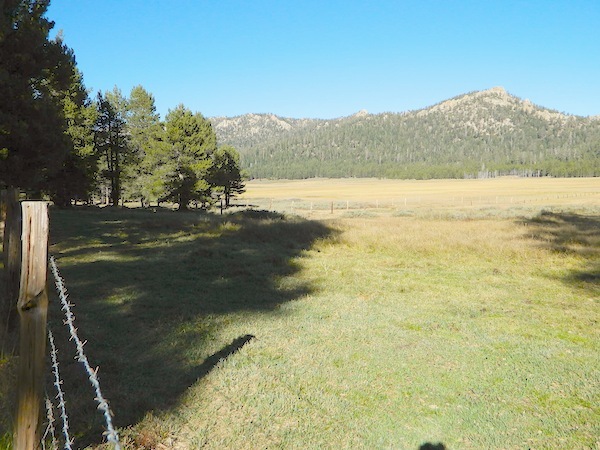 Rincon Camp is rugged, may be overgrown and unmaintained. Long dirt road might require high clearance vehicle or possible 4×4, if weather is wet. Huge recreational reservoir in the southern Sierra Nevada mountains. California State Route 178 (Hwy 178), which connects Mojave desert w/ Bako. Minimal to modest campsites in the lower canyon. 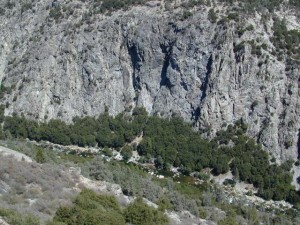 Most seclusion for overnight spots, can be found along th e empty stretches of Old Kern Canyon Road. 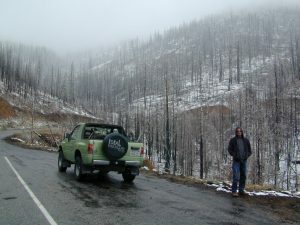 Many curvy mountain miles, one lane, paved, several flat spots for easy road-side camping. Caution for cattle in roadway. Speed limit is generally under 40 mph for this historic route which parallels the 178. 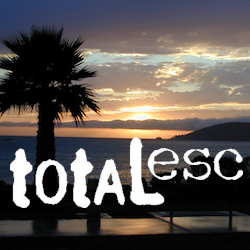 Copyright © 1996-2019 Total Escape, www.totalescape.com / All Rights Reserved.